Space planning for our kitchen project took more than six months, but we were thrilled with the plans we agreed on. Now we just needed our builder and a building permit, and we’d be ready to go. We filed the plans with the city, and we called our first-choice contractor. Keith Mazzarello is the best contractor in our neighborhood, a perfectionist we knew would do everything exactly right. He’d done some small jobs for us over the years, and he’d recently completed a renovation of our side porch that changed our lives—the room became a beautiful year-round part of our home instead of a drafty glorified storage room. 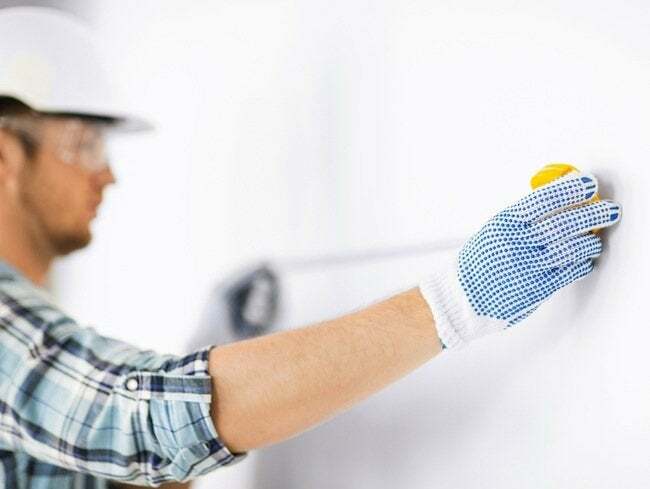 He really does sweat the details, and he never gets caught by the unexpected—he anticipates everything, and he always has solutions for the quirky problems that inevitably come up when you work on an old house. The only question was whether we’d be able to afford him. We still can’t believe that this stage took another six months. Keith reviewed the plans with our architect, Norm Davis, so he could get us an accurate proposal—every meeting seemed to take weeks to set up. We talked with two other contractors so we’d have a reality check on Keith’s ultimate bid—each of them took weeks to corral into a meeting, then weeks more to get us proposals. The city rejected our plans (the deck Norm had proposed to replace our patio came too close to the garage and fence), so they had to be redone. The time was well spent, since Keith and Norm uncovered a lot of new questions and details and worked out a lot of solutions in advance. But by the fall of 2010 we’d missed the summer renovating season, had lived with our old kitchen for yet another full year, and we still didn’t have an approved plan and a contract. In November, things came together at last—Keith’s bid was considerably higher than the other two, but we knew it was worth it, it was within our budget (which we gladly stretched to get him), and we agreed to proceed. The city approved an amended plan, with simple steps but no deck; we figured we could plan our grade-level patio later. So all systems were go, right? Wrong. Since it was now so late in the year, Keith pointed out that starting demolition was a pretty bad idea. The actual demolition would be fast, but it was hard to tell exactly how long it would take to dig and pour the new foundation, frame the new extension, build the new hip roof, and enclose the new space. Did we really want to tear off the side of the house on December 1, not knowing when we’d be enclosed again, with the cold and snow of January and February coming up? It killed me to say it, but I had to agree that it made sense to wait. So we signed our contract for the job—to start March 1, 2011. Next: Testing and Carting and Digging—oh my! NOTE: Calling all kitchen makeover photos. If you have a finished makeover project, we’d love to see the “before” and “after.” Best photos will be featured on BobVila.com in a Gallery of Kitchens. Upload your photos today on our Facebook wall.